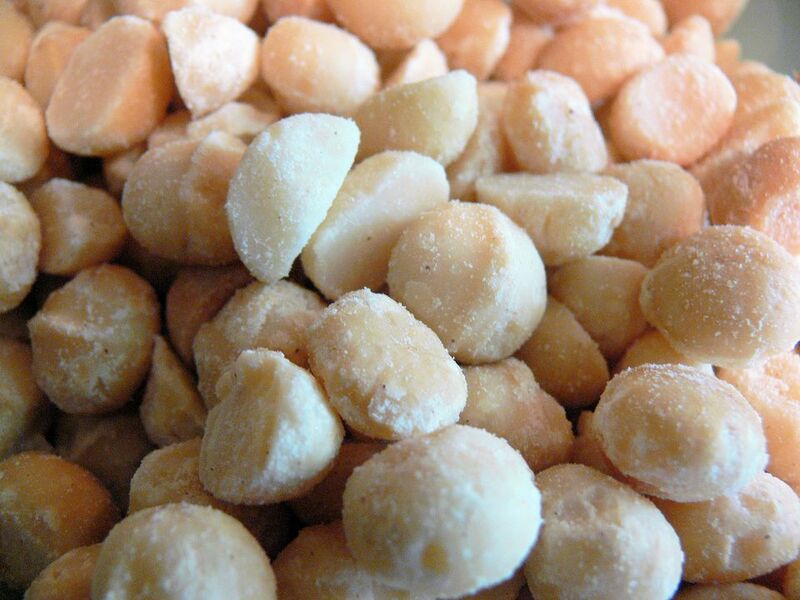 Are Macadamia Nuts Toxic to Dogs? According to the ASPCA Animal Poison Control Center (APCC) data, clinical signs appear after dogs ingested anywhere from 2.2 grams to 62.4 grams per kilogram of body weight (1 kilogram is equal to 2.2 pounds). That is a large range; sensitivity to the toxin varies between dogs. Clinical signs usually develop within 12 hours after ingestion. The most common presenting sign is weakness and inability to walk, especially in the hind legs. Other signs include vomiting, staggering gait, depression, tremors and elevated body temperature (hyperthermia). Note: If the nuts were chocolate-covered, clinical signs may also include those seen with chocolate toxicity. Interestingly, for uncomplicated, known cases of macadamia toxicity, the ASPCA APCC recommends "home observation" as the primary means of handling these cases. Administering activated charcoal (2 g/kg orally) with a cathartic such as 70% sorbitol (3 ml/kg orally) hastens the passage of nuts through the digestive tract and may reduce the absorption of unidentified causative compounds. Assuming no underlying conditions or concurrent toxicities (i.e. chocolate), macadamia ingestion cases have an excellent prognosis, with the dog returning to normal in 24-48 hours. Macadamia nuts, like so many potentially pet-toxic foods, are found in many households, and they're sometimes unknowingly given as treats. Awareness is key to preventing accidental ingestion and subsequent toxicity for dogs and possibly other pets. Because the toxin and mechanism of action are not known at this time, it is advisable to keep these nuts away from all pets.